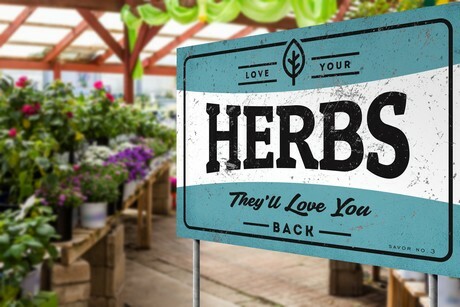 With the popularity of herbs and vegetables projected to continue again in 2019…and Spring just eight short weeks away…it’s time for retailers to think about how to attract even more customers to the edibles section of their stores. Knowing this, Savor has further expanded its set of retailer support tools to match its distinctive edibles and fragrants offering. Motivated by the retro-styles so prevalent in today’s world of fashion, music, and even attitudes, Savor has developed a series of tin-style point-of-purchase signs with an urban aesthetic. With lines that are light on promotion and heavy on inspiration (“Grow what you eat. 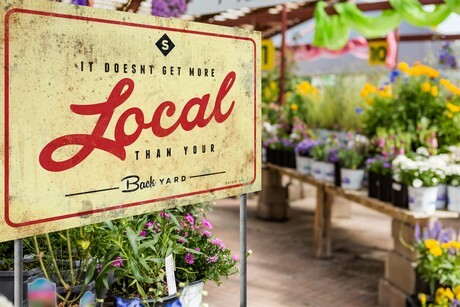 Eat what you grow.” and “It doesn’t get any more local than your backyard.”), Savor’s retro-merchandisers also carry an authentic scratch-and-dent façade to complete their appeal. And, as part of a retailer’s overall Savor display, these new signs help engage locavores looking to start their own gardening adventure. Beyond the new retro-signage, Savor has developed several other merchandising tools to help retailers increase consumer traffic, sales and loyalty. These include bench tape and cards, end-cap signs, trolley cart signs, cart shelf strips, and packaging – all the way down to the plant tags, which contain recipes for consumers to try after successfully harvesting their Savor herbs and vegetables. To learn more about Savor, get Savor in your store, or get your hands on Savor’s new retro-inspired merchandising tools, visit www.growyourownadventure.com, call 603-435-8361, or message them on Facebook or @savorediblesfragrants.